There are risks. Running a probe involves testing connections to websites that may be banned and using tools to attempt circumventing web censorship. It is not designed to protect the privacy of those running probes. Measurements are published and can include IP addresses or other identifying information. OONI scans TCP, DNS, HTTP and TLS connections for tampering. Some tests work by requesting data over an unencrypted connection and comparing against a known good value. Others check for DNS spoofing, keyword filtering, transparent proxying and website block lists. Join us in IRC #ooni on OFTC (or via a slack bridge) or on the ooni-talk and ooni-dev mailing lists to discuss the project, what you've learned from measurements and ways you can help out. If you are contributing regular ooniprobe measurements be sure to also subscribe to ooni-operators for important updates. Source code is available (Tor project mirror). 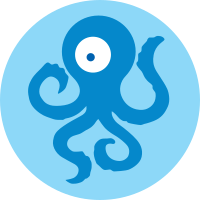 Issues and future plans for OONI can be found on github. We can also be reached on Jabber.